On Purim, we put on costumes and celebrate Esther’s victory, our victory against the wicked Haman. One of the fundamental mitzvot or commandments of Purim is to give gifts to the needy, called mutant l’evyonim. “It is a mitzva…to dress up on Purim.” Indeed, it is a great mitzvah, because in this way one cannot tell the nobleman from the poor. And therefore they [the rabbis] instituted the mitzvah of gifts to the poor on Purim, because when people dress up, the mitzvah of tzedakah may be performed in its most appropriate manner [כתיקונה]. One does not know then to whom they give, and the one who receives does not know from whom they receive, and thus no one is embarrassed to appear needy and dependent on human kindness. 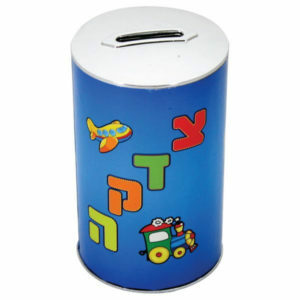 In honor of Purim, please consider donating to help others in need. One great Jewish organization that aims to end hunger is called Mazon. Please click here to learn more about Mazon and give to them.